School dinners are planned to ensure children receive all the necessary nutrition that they need as they grow and develop. Follow the link, along with further details, including the nutritional and allergen information for hot meals. From September 2014 the Government’s “Universal Infant Free School Meals” policy entitles all pupils in Reception, Year 1 and 2 to be eligible for free school meals. The current cost of a school meal for children in Years 3 to 6 is £2.30 and dinner monies must always be paid for in advance of the meal being taken. Credits will be given if changes occur and meals are not taken on the planned day(s). You may wish to pay for a half term or term in advance. School meals can be paid for in a number of ways. Most parents find online payments are a convenient way to pay. 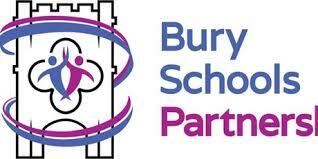 The school encourages online payments to assist with administration and to ensure that a record/receipt of payments made is provided to the parent. Cheques should be made payable to Suffolk County Council with your child's name and ‘dinner money’ written on the reverse. Cheques should be placed in an envelope clearly marked with your child’s name, class, and the dates for which the payment relates and placed in the class basket. Dinner money payments by cheque should be sent into school on the Monday for the week. If you would prefer, you can send a packed lunch into school for your child. Please make sure that your child has a lunch box marked with their name. Packed lunches are eaten alongside school meals under supervision in the school hall. We encourage healthy eating and therefore ask that you do not send into school confectionery such as chocolate bars, chocolate-coated biscuits and sweets. We also ask that no fizzy drinks are brought into school. Please provide items that your child can open independently and avoid foods that are hard to manage. It is helpful if you make a snip in the wrapper of tightly packaged items. Drinking water is provided at lunchtimes for all children. We are able to provide a 189ml portion of low-fat or lactose reduced milk for your child during break, if requested to do so. This will not only provide them with essential nutrients, but will also bridge the gap between meals to help them stay focussed. This will be provided free to children under 5 years of age or those receiving income-related free school meals, not Universal Infant Free School Meals (UFSM). Milk will be subsidised for those children aged between 5 – 11 years old at an estimated cost of less than £15 per term.